The ACC’s Meeting of the Minds Conference brings together top students in the Atlantic Coast Conference to present their research and creative work. Last year’s team, joined by faculty and staff members, made their way to the conference at North Carolina State University. Biology student Alexandria Aruck ’16 engaged with students doing research outside of her field for the first time at the ACC’s Meeting of the Minds Conference last year at North Carolina State University. “It was an opportunity for me to learn more about the groundbreaking research being conducted in such fields as physics and education and also what was going on in my own field of developmental biology,” Aruck says. The annual conference brings together top students in the Atlantic Coast Conference to present their research and creative work. “I saw how my research fits into the bigger picture of how undergraduates are making incredible strides toward an understanding of how the world works,” she says. 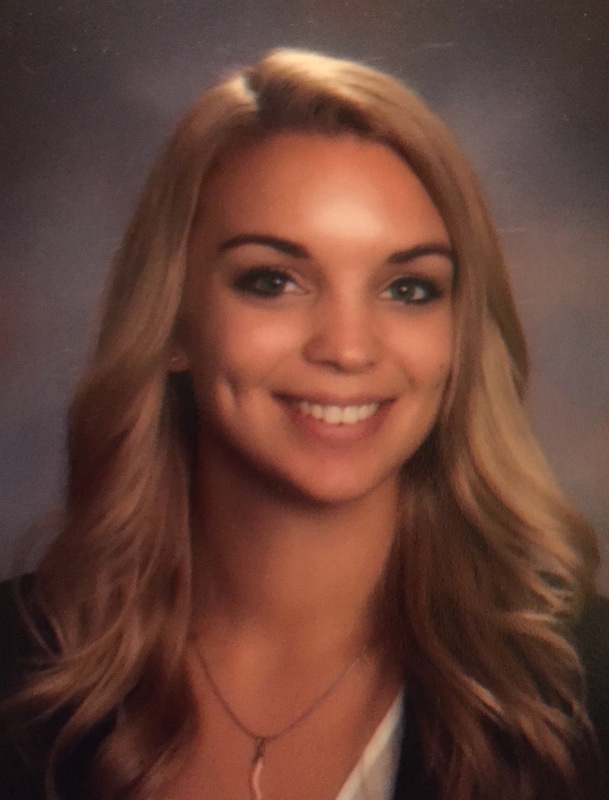 Participation at the upcoming conference might be extra meaningful for her fellow students, since it will take place at Syracuse University for the first time. 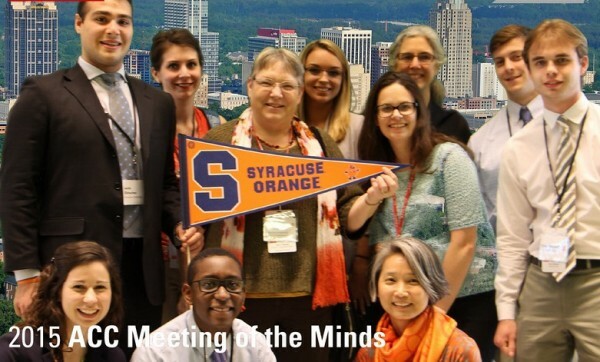 The University will host the 11th Annual ACC Meeting of the Minds (M.O.M.) Conference April 8-10. The conference is an opportunity for top undergraduate students from each of the 15 ACC schools to present their research or creative projects, to interact with faculty and undergraduates from across the ACC, and to learn more about the host university. Six students from each of the 15 ACC schools—about 90 students in all—will participate in the 2016 M.O.M. Conference. Aruck notes how the experience inspired her further in her work. “Basically, I study how the overexpression of certain proteins affects the rate of degeneration and the ability of regeneration of rod cells in the retina using a transgenic line of African clawed frogs. Particularly, we study GFAP [glial fibrillary acidic protein], which is thought to be a key player in the inability of humans to regenerate rod cells after they are damaged,” Aruck says. “Seeing how excited and interested professors from schools like Clemson and Duke were about what I was doing re-ignited the passion I have for my work,” Aruck says. More information on the conference can be found at http://accmom2016.syr.edu. The deadline for applications from interested undergraduates is Friday, Jan. 22. [Editor’s note: The deadline for students to apply has been extended to Friday, Feb. 5.] A Syracuse University committee will select the participants by Feb. 28. Applicants can be from any field or program, must be academically outstanding, with the ability to make a significant contribution to their discipline, and can be in any class year. Students selected will present their research or creative work at the conference through either an oral presentation, a poster presentation, models or exhibition, or a performance. All expenses for student presenters are paid by the ACC Academic Consortium and Syracuse University. The M.O.M. Conference also includes plenary sessions that provide reflections on the importance of undergraduate research, highlight research methodologies by distinguished faculty from the host university and reflect on paths to graduate school and research careers. The student’s submission involves a four-part application and a letter from a faculty advisor or research sponsor. The student applicant must submit the following four parts as one document (either Word or PDF) as an email attachment to NationalScholarships@syr.edu. a transcript from each institution attended by the student (can be a copy). The applicant’s primary faculty advisor or research sponsor must submit a letter that provides examples of how or why the student applicant’s research contributes to the discipline and explains why this applicant should be selected as a M.O.M. presenter. The faculty letter must be emailed to NationalScholarships@syr.edu by the letter writer (not the applicant) by Jan. 22. The subject line of the faculty email should be the name of the undergraduate applicant. Students can request an application form from their mentor or by sending a request to mlowry@syr.edu.